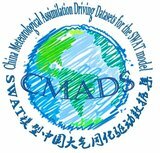 The China Meteorological Assimilation Driving Datasets for the SWAT model (CMADS) is a public datasets developed by Prof. Dr. Xianyong Meng from China. CMADS incorporated technologies of LAPS/STMAS and was constructed using multiple technologies and scientific methods, including loop nesting of data, projection of resampling models, and bilinear interpolation. The CMADS series of datasets can be used to drive various hydrological models, such as SWAT, the Variable Infiltration Capacity (VIC) model, and the Storm Water Management model (SWMM). It also allows users to conveniently extract a wide range of meteorological elements for detailed climatic analyses. Data sources for the CMADS series include nearly 40,000 regional automatic stations under China’s 2,421 national automatic and business assessment centres (Meng et al.,2017a). This ensures that the CMADS datasets have wide applicability within the country, and that data accuracy was vastly improved. The CMADS series of datasets has undergone finishing and correction to match the specific format of input and driving data of SWAT models. This reduces the volume of complex work that model builders have to deal with. An index table of the various elements encompassing all of East Asia was also established for SWAT models. This allows the models to utilize the datasets directly, thus eliminating the need for any format conversion or calculations using weather generators. Consequently, significant improvements to the modelling speed and output accuracy of SWAT models were achieved (Meng et al.,2017b). The CMADS integration of air temperature, air pressure, humidity, and wind velocity data was mainly achieved through the LAPS/STMAS system. Precipitation data were stitched using CMORPH’s global precipitation products and the National Meteorological Information Center’s data of China (which is based on CMORPH’s integrated precipitation products). The latter contains daily precipitation records observed at 2,400 national meteorological stations and the CMORPH satellite’s inversion precipitation products.The inversion algorithm for incoming solar radiation at the ground surface makes use of the discrete longitudinal method by Stamnes et al (1988) to calculate radiation transmission (Shi et al., 2011). The resolutions for CMADS V1.0, V1.1, V1.2, and V1.3 were 1/3°, 1/4°, 1/8°, and 1/16°, respectively (Meng et al.,2016). The China Meteorological Assimilation Datasets for the SWAT model (CMADS) was completed over the 9 year period of 2008.01.01 through 2016.12.31 and has been used in many watersheds over East asia (Meng et al.,2017b; Cao et al.,2018; Liu et al.,2018; Shao et al.,2018; Vu et al.,2018; Zhao et al., 2018; Zhou et al., 2018; Gao et al.,2018). Furthermore, Researchers from China also used CMADS data and Penman-Monteith method to calculate Potential evapotran-spiration (PET) across China with good performance (Tian et al.,2018). The current CMADS will be extended as real time product in the future. 1.Meng,X.Y.,Wang, H.; Shi, C.; Wu, Y.; Ji, X.Establishment and Evaluation of the China Meteorological Assimilation Driving Datasets for the SWAT Model (CMADS). Water 10,1555. (2018). 2.Meng,X.Y.,Wang, H.; Cai, S.; Zhang, X.; Leng, G.; Lei, X.; Shi, C.; Liu, S.; Shang, Y. The China Meteorological Assimilation Driving Datasets for the SWAT Model (CMADS) Application in China: A Case Study in Heihe River Basin. Preprints.2016120091 (2016). 3.Meng,X.Y.,Wang, H., et al. Investigating spatiotemporal changes of the land-surface processes in Xinjiang using high-resolution CLM3.5 and CLDAS: Soil temperature. Scientific Reports. 7, 13286. doi:10.1038/s41598-017-10665-8. (2017a). 4.Meng,X.Y.,Wang, H. Significance of the China Meteorological Assimilation Driving Datasets for the SWAT Model (CMADS) of East Asia. Water. 9, (10),765. doi:10.3390/w9100765. (2017b). 5.Meng,X.Y.,Dan, L.Y. & Liu, Z.-H. Energy balance-based SWAT model to simulate the mountain snowmelt and runoff – taking the application in Juntanghu watershed (China) as an example. J. Mt. Sci. 12(2), 368-381 (2015). 6.Meng,X.Y.,Wang,H.,Lei,X.H.,Cai,S.Y.,Wu,H.J.Hydrological Modeling in the Manas River Basin Using Soil and Water Assessment Tool Driven by CMADS. Teh. Vjesn. 24,(2),525-534.doi: 10.17559/TV-20170108133334(2017c). 7.Stamnes, K., Tsay, S.C., Wiscombe, W. & Jayaweera, K. Numerically stable algorithm for discrete-ordinate method radiative transfer in multiple scattering and emitting layered media. Appl. Opt. 27(12), 2502-2509 doi: (1988). 8.Shi, C. X., Xie, Z. H., Qian, H., Liang, M. L. & Yang, X. C. China land soil moisture EnKF data assimilation based on satellite remote sensing data. Sci. China Earth Sci. 54(9),1430-1440 (2011). 9.Wang, Y.J. & Meng,X.Y. Snowmelt runoff analysis under generated climate change scenarios for the Juntanghu River basin in Xinjiang, China. Tecnología y Ciencias del Agua, 7(4), 41-54 (2016). 10.Meng,X.Y.Simulation and spatiotemporal pattern of air temperature and precipitation in Eastern Central Asia using RegCM.Scientific Reports.8,3639. (2018). 11.Meng,X.Y. Spring Flood Forecasting Based on the WRF-TSRM mode.Teh. Vjesn.25(1):27-37.(2018). 12.Zhao, F.; Wu, Y.Parameter Uncertainty Analysis of the SWAT Model in a MountainLoess Transitional Watershed on the Chinese Loess Plateau. Water.10, 690.(2018). 13.Vu, T.T. ; Li, L.; Jun, K.S..Evaluation of MultiSatellite Precipitation Products for Streamflow Simulations: A Case Study for the Han River Basin in the Korean Peninsula, East Asia. Water.10, 642.(2018). 14.Liu, J.; Shanguan, D.; Liu, S.; Ding, Y.Evaluation and Hydrological Simulation of CMADS and CFSR Reanalysis Datasets in the QinghaiTibet Plateau. Water.10, 513.(2018). 15.Cao, Y.; Zhang, J.; Yang, M.Application of SWAT Model with CMADS Data to Estimate Hydrological Elements and Parameter Uncertainty Based on SUFI-2 Algorithm in the Lijiang River Basin, China. Water.10, 742.(2018). 16.Shao, G.; Guan, Y.; Zhang, D.; Yu, B.; Zhu, J.The Impacts of Climate Variability and Land Use Change on Streamflow in the Hailiutu River Basin. Water .10, 814.(2018). 17.Zhou, S.; Wang, Y.; Chang, J.; Guo, A.; Li, Z.Investigating the Dynamic Influence of Hydrological Model Parameters on Runoff Simulation Using Sequential Uncertainty Fitting-2-Based Multilevel-Factorial-Analysis Method. Water 10, 1177. (2018). 19.Tian, Y.; Zhang, K.; Xu, Y.-P.; Gao, X.; Wang, J. Evaluation of Potential Evapo-transpiration Based on CMADS Reanalysis Dataset over China. Water 10, 1126.(2018). 20.Qin, G.; Liu, J.; Wang, T.; Xu, S.; Su, G.An Integrated Methodology to Analyze the Total Nitrogen Accumulation in a Drinking Water Reservoir Based on the SWAT Model Driven by CMADS: A Case Study of the Biliuhe Reservoir in Northeast China. Water 10, 1535. (2018).21.Guo, B.; Zhang, J.; Xu, T.; Croke, B.; Jakeman, A.; Song, Y.; Yang, Q.; Lei, X.; Liao, W. Applicability Assessment and Uncertainty Analysis of Multi-Precipitation Datasets for the Simulation of Hydrologic Models. Water 10, 1611(2018).22.Dong, N.P., Yang, M.X., Meng,X.Y.,Liu, X.et al. CMADS-Driven Simulation and Analysis of Reservoir Impacts on the Streamflow with a Simple Statistical Approach. Water 11(1), 178 (2018). Due to spatial differences of climate conditions and the lack of meteorological data in East Asia, there are many challenges to conducting research on surface water in the hydrologic cycle. In addition, East Asia is facing pressure from both water resource scarcity and water pollution. The consequences of water pollution problems have been attracting public conerns in recent years. Due to the low frequencies and difficulty in monitoring non-point source pollutions, it becomes challenging to understand the continuous spatial distributions of non-point source pollution mechanisms in East Asia. 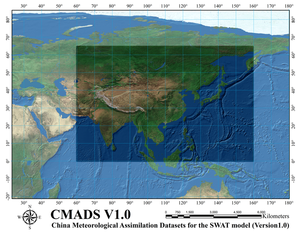 The China Meteorological Assimilation Driving Datasets for the SWAT model (CMADS) were developed and provided high resolution and quality meteorological data for the community. Applying CMADS can significantly reduce the meteorological input uncertainty and improve the performance of non-point source pollution modeling, since water resources and non-point source pollution can be more accurately localized. In addition, researchers can make use of high resolution time series data from CMADS for spatial and temporal scale analysis of meteorological data. Over the past few years, the CMADS data set has received worldwide attention from applicants such as the United States, Germany, Russia, Italy, India, South Korea, etc. This Special Issue on “Application of the China Meteorological Assimilation Driving Datasets for the SWAT model (CMADS) in East Asia,” invites papers that report recent advances in the modeling of water quality and quantity in watersheds using CMADS and the hydrological model on a wide range of topics. These include, but are not limited to, water resource modeling, hydrological ecology, evolution and regulation of water ecological footprint, evolution of water resources and insurance, non-point source pollution, meteorological analysis, meteorological verification, atmospheric and hydrological coupling studies, changes in water resources under climate change, optimal operational of reservoirs, water footprint assessment and water cycle in arid and cold regions. We encourage submissions based on theoretical, computational and field studies that involve multiple hydrologic domains and interactions, as well as contributions that demonstrate novel applications. News: Water receives its 5th Impact Factor, 2.069 (2018). CiteScore 2017 (Scopus): 2.29, which equals ranks 37/191 (Q1) in category 'Water Science and Technology' and 43/199 (Q1) in 'Aquatic Science'. 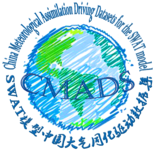 This website allows you to download CMADS data in SWAT file format for a given location and time period. In CMADS V1.0 (at a spatial resolution of 1/3°), East Asia was spatially divided into 195 × 300 grid points containing 58,500 stations. Despite being at the same time resolution as CMADS V1.0, CMADS V1.1 contains more data, with 260 × 400 grid points containing 104,000 stations. For both versions, the stations’ daily data include average solar radiation, average temperature (2 m), average pressure, maximum and minimum temperature (2 m), specific humidity, cumulative precipitation, and average wind speed (10m). 1.Meng, X.; Wang, H.; Shi, C.; Wu, Y.; Ji, X.Establishment and Evaluation of the China Meteorological Assimilation Driving Datasets for the SWAT Model (CMADS).Water.10,1555. (2018). 2.Meng, X., Wang, H. Significance of the China Meteorological Assimilation Driving Datasets for the SWAT Model (CMADS) of East Asia.Water. 9, (10),765. doi:10.3390/w9100765. (2017b). Please do not hesitate to mail us (xymeng@hku.hk or xymeng@cau.edu.cn) if you need our assistance when you have problems using CMADS data.